Roar of the Lion documentary which revolves around Chennai Super Kings’ (CSK) two-year ban was released on March 20 on Star Networks popular OTT (over the top) platform Hotstar. 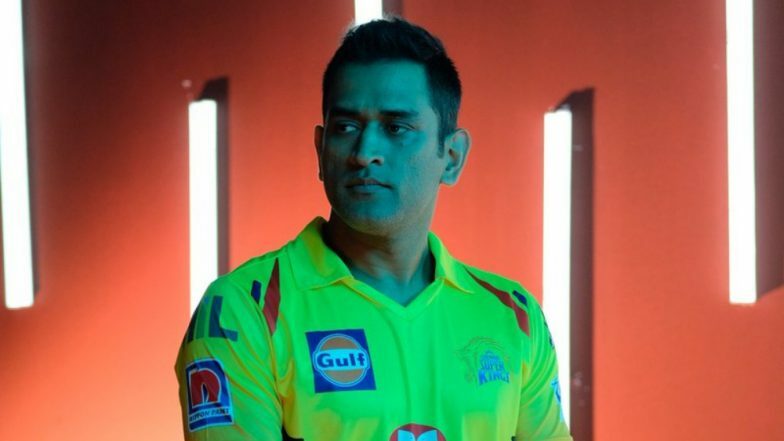 The documentary features CSK’s captain MS Dhoni and is divided into five parts. In the documentary, directed by Kabir Khan, Dhoni talks about CSK’s ban following spot-fixing and betting scandal and return from it. CSK’s Dwayne Bravo Turns a 'Dulha' Ahead of IPL 2019 (See Pics and Video). CSK after the ban made the successful comeback in 2018 and went to win the IPL title. It was Super Kings’ third IPL trophy, joint-highest with Mumbai Indians (MI). Apart from CSK, Rajasthan Royals were also handed a two-year suspension by the Justice Lodha Committee in 2015. Speaking about the ban in the first part of the Roar of the Lion documentary, CSK skipper Dhoni said: “Whatever I am today, whatever I have achieved is because of cricket. So the biggest crime that I can commit personally is not murder but match-fixing. It is not something that one person can do alone. If my name is involved in such a thing, it has a bigger impact. If people think a match is fixed based on the improbability of an outcome, then people lose their faith in cricket. I don’t think ever in my life I would deal with something that is harder than this.” IPL 2019 Schedule in PDF for All Matches: Download VIVO Indian Premier League 12 Full Timetable With Fixtures, Dates, Team and Venue Details. Dhoni also questioned why players were blamed as it was no fault of theirs.found. “It was a mixed feeling then because you take a lot of things personally and, as a captain, question what did the team do wrong. Yes there was wrongdoing but were players or team members involved in this? What mistake did we make that we have to go through all of that?” he asked. The former Indian skipper labelled 2013 as the most difficult phase in his life, worse than the 2007 Cricket World Cup early exit. “2013 was the most difficult phase in my life, I was never depressed as much as I was then. The closest was the 2007 World Cup when we lost in the group stages. But all said and done, 2007 happened because we did not play good cricket. But 2013, the angle was completely different. People are talking about match-fixing and spot-fixing. It was the most talked about thing in the country,” MSD said.